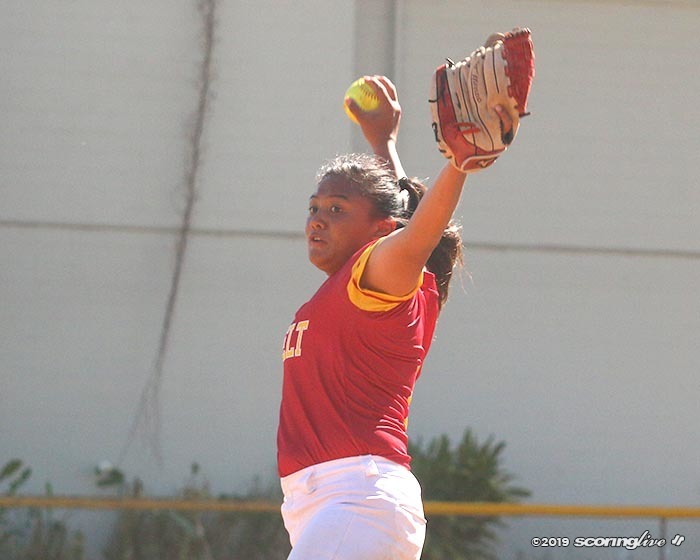 SALT LAKE — Jaeda Cabunoc threw a one-hitter and was backed by heavy run support in No. 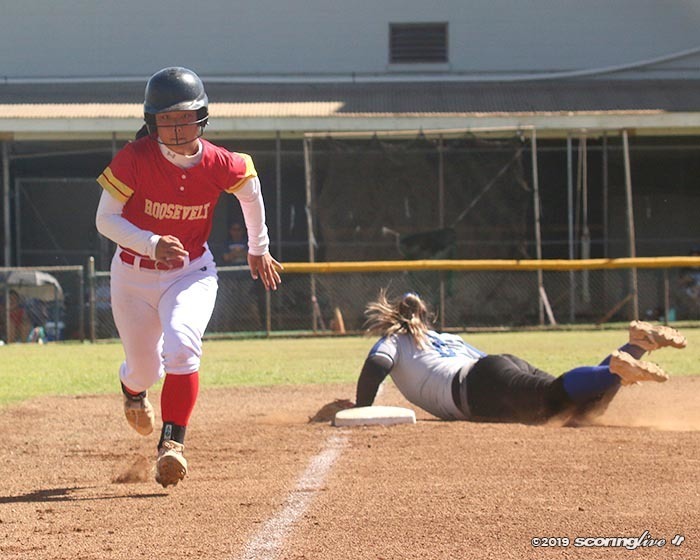 5 Roosevelt's 11-0 win over host Moanalua Saturday morning. The game was called after five innings due to the 10-run differential mercy rule. 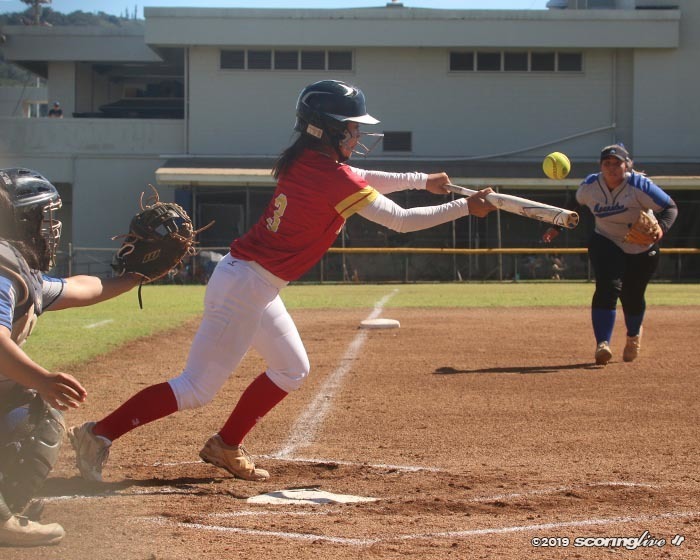 The first-place Rough Riders (5-0) stretched their lead over Na Menehune (3-2) to two games in the Oahu Interscholastic Association Division I East standings. 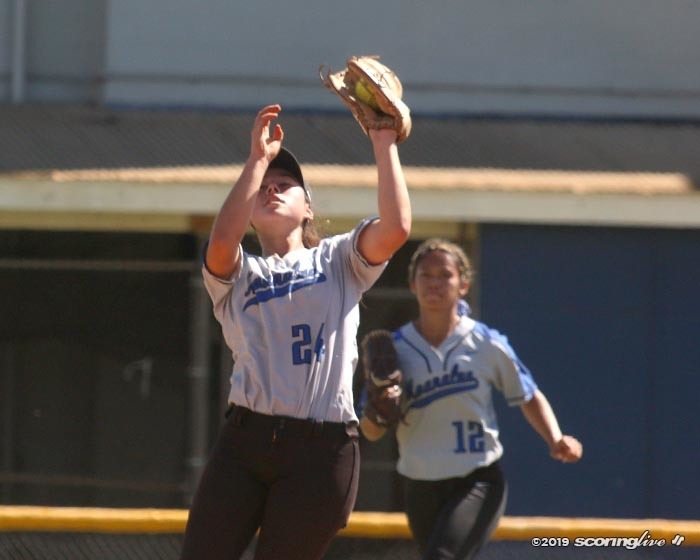 Moanalua fell from second place to third with the loss, one game behind second-place Kaiser. 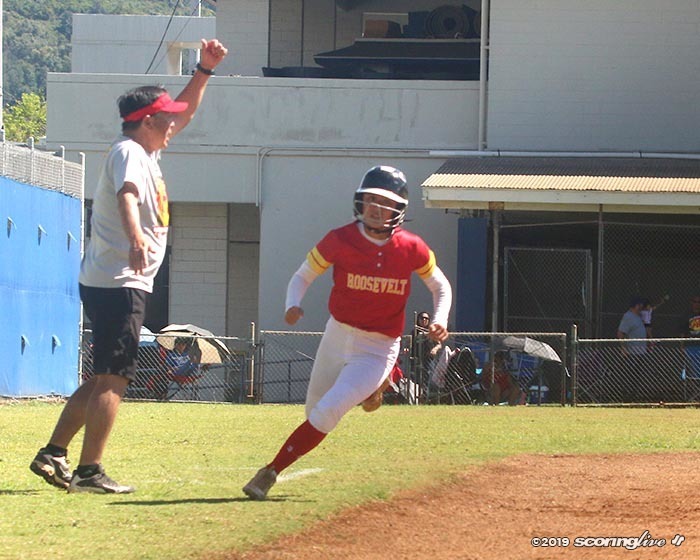 "Any time we win it feels good," Roosevelt coach Kristin Fujii-Dias said. "Today we did really good. They were focused today, they had a goal and they knew what they wanted, so that was good." 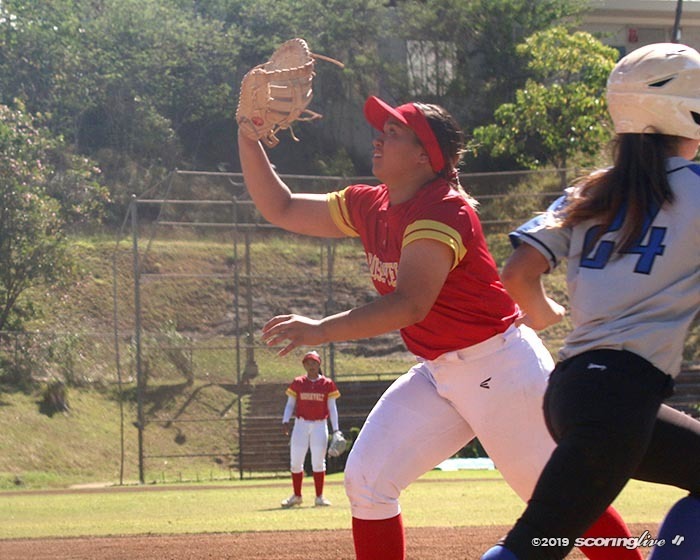 Cabunoc, a senior pitcher, retired 14 of the 17 batters she faced. 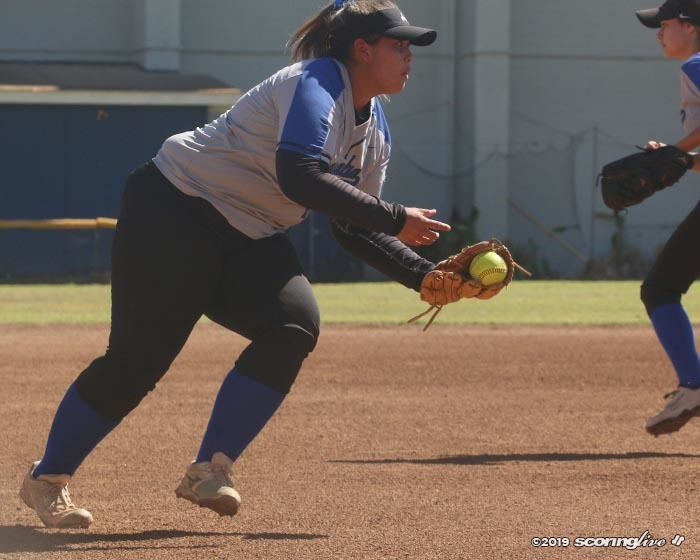 She set down the first eight Moanalua hitters before Breanne Louis-Merry's two-out single to break-up a perfect game in the bottom of the third inning. 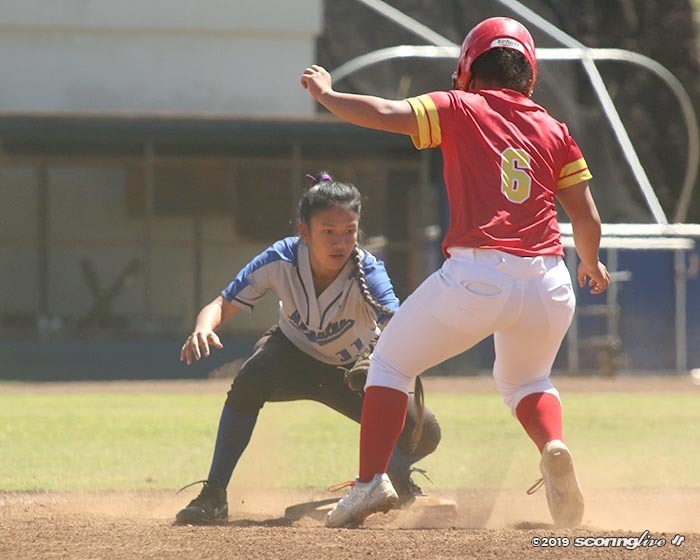 Cabunoc allowed only one runner to reach second base. 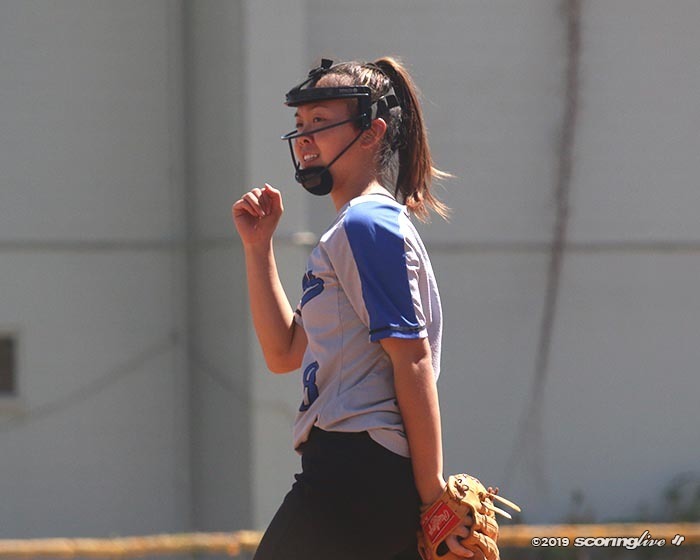 She struck out two batters and walked one. "I think just knowing I have a very good defense behind me. 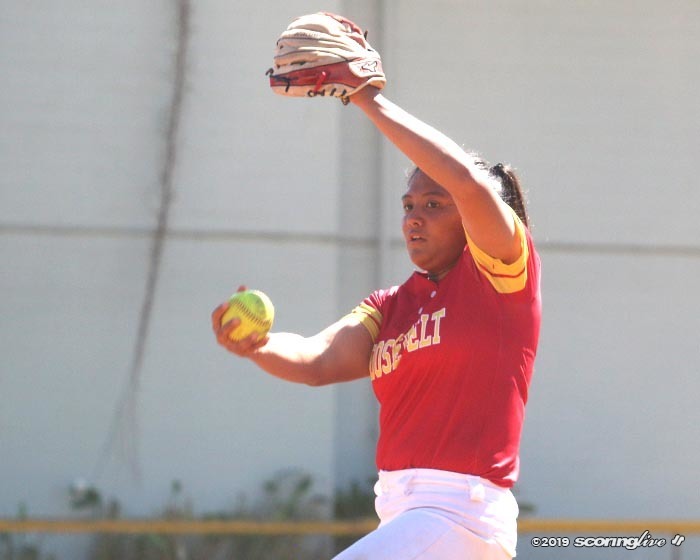 I have to pitch the ball, I have to hit my spots and if they hit, I know I have a strong defense," said Cabunoc, who improved to 5-0 on the season and lowered her ERA to 1.75. 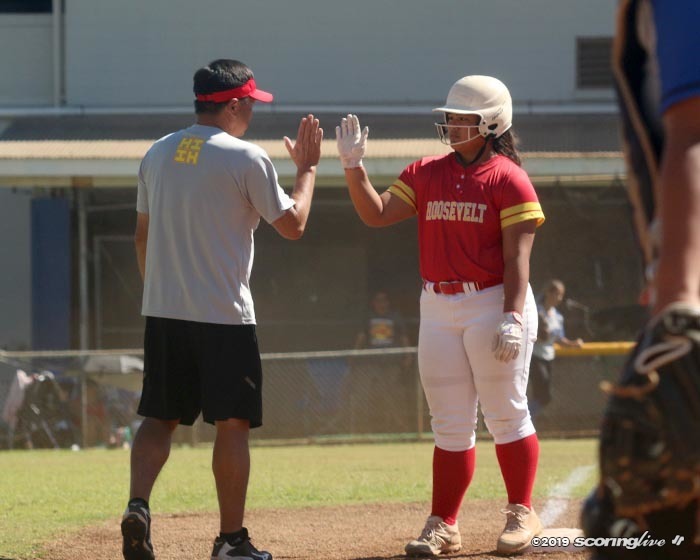 Roosevelt pounded out 13 hits — all but two of them singles — by nine different players. 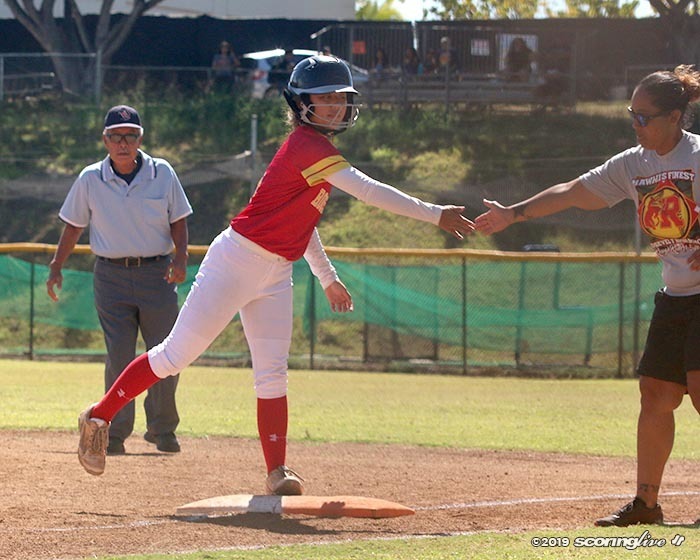 Leadoff hitter Maya Nakamura batted 3 for 4 with three runs scored and ninth hitter Angel-Leigh Ching went 2 for 3 with an RBI and two runs scored. 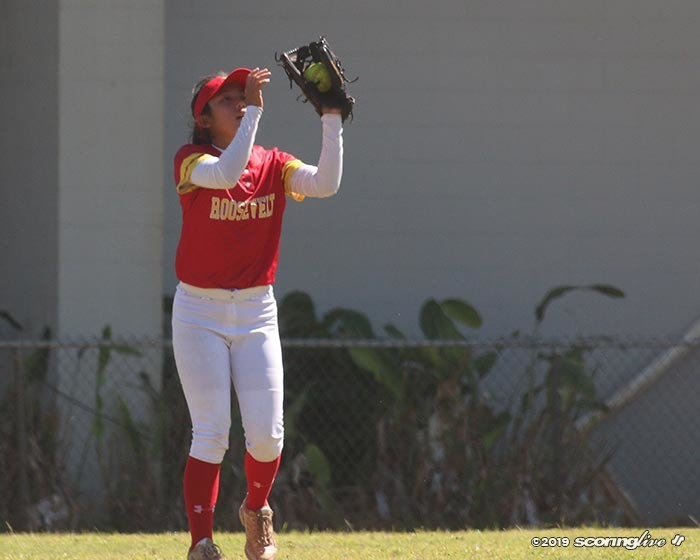 "I know that we can hit, so I don't really doubt (out batters) while they're in the box. 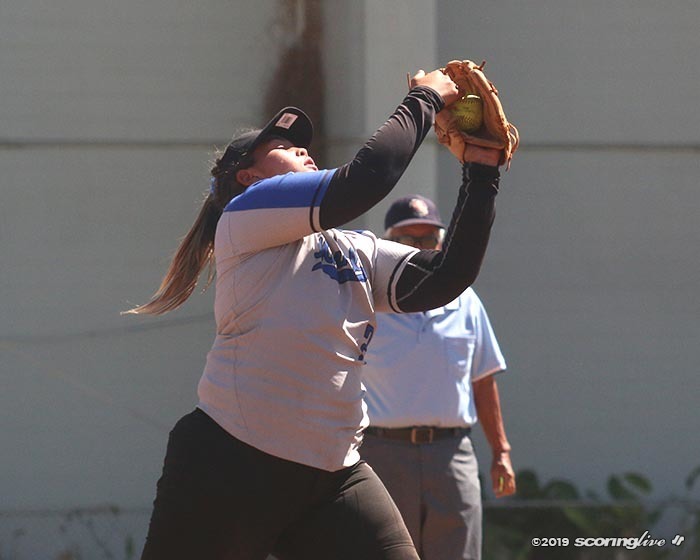 I know when I have to pitch and if Moanalua scores, I know that when we come back to hit we can come back and take the lead," said Cabunoc, who helped her own cause with a two-out RBI-single that capped a six-run top of the second. 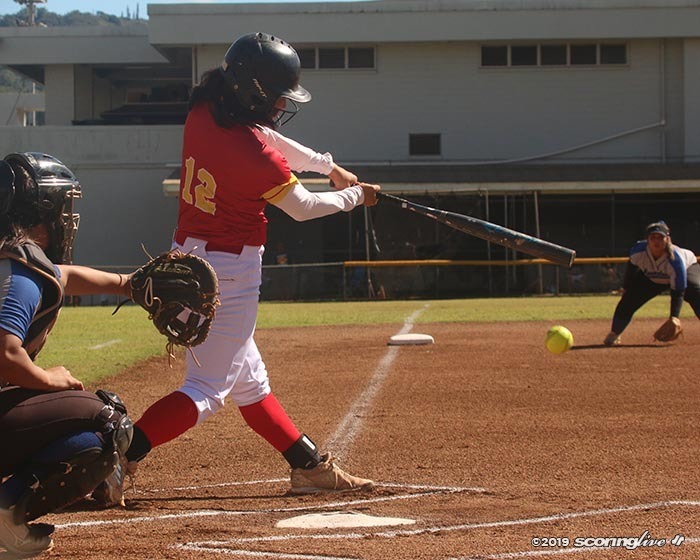 The Rough Riders did all of their scoring in the first three innings and plated six runs with two outs. 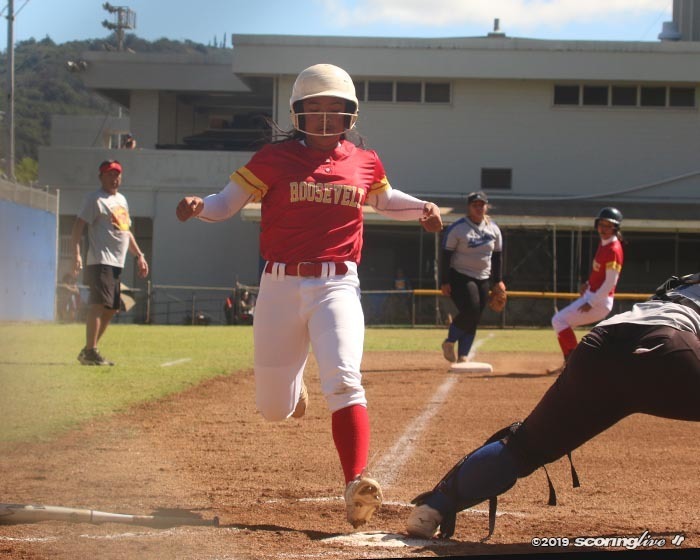 They sent 10 batters to the plate and scored six runs on five hits in the second, including Kenna Higa's two-out, bases-clearing triple down the left field line that extended the score to 7-0. 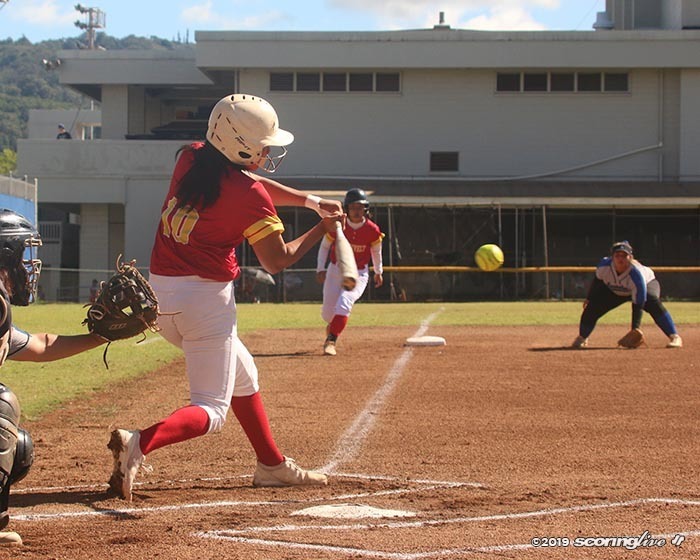 "I saw it coming inside so I wanted to wait back and just open up my hits and just take it," said Higa, who plated Nakamura, Kylie Kawamura and Kanilehua Pitoy with the hit. 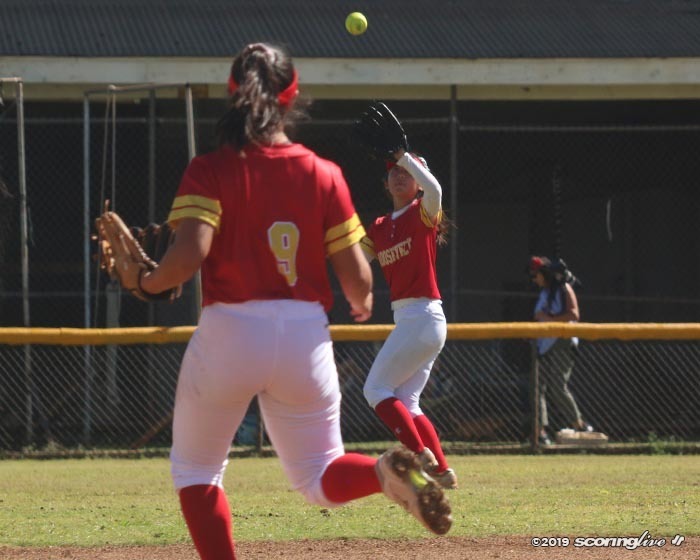 "I just tried to hit the ball because I wanted to help the team and I went into the box with the mentality that I was gonna hit the ball and not that I was gonna take a strike or walk." 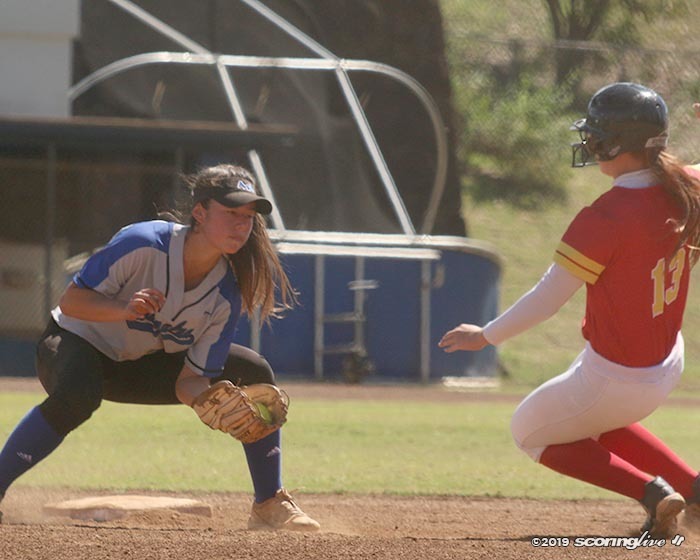 The sophomore, who hit fifth in the lineup Saturday, is batting .400 on the season, but the three-bagger was her first extra-base hit. 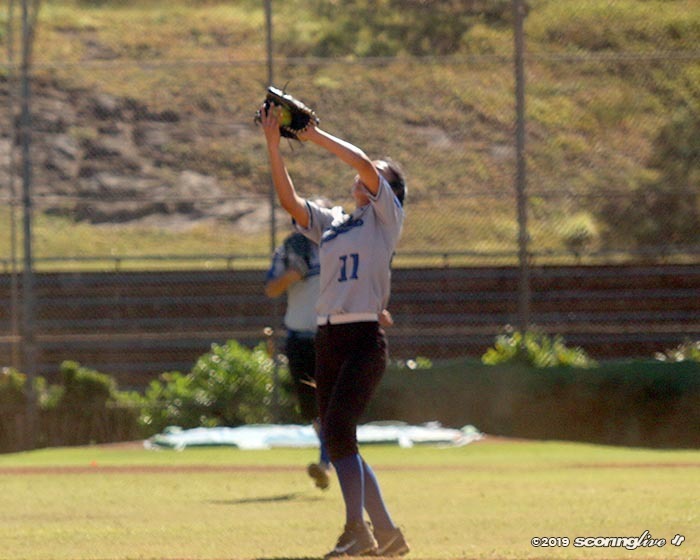 "She hit that one really good. 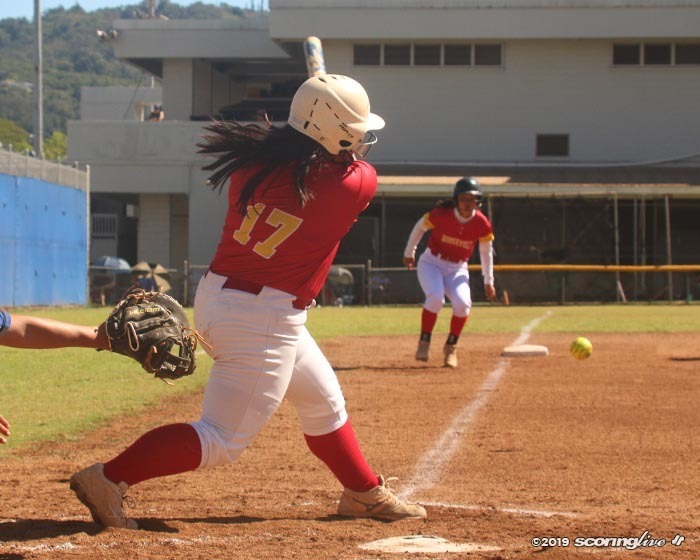 Off the bat it was a hard shot and Moanalua the field is a little quick so the fact that she got a triple out of it was really good," Fujii-Dias said. 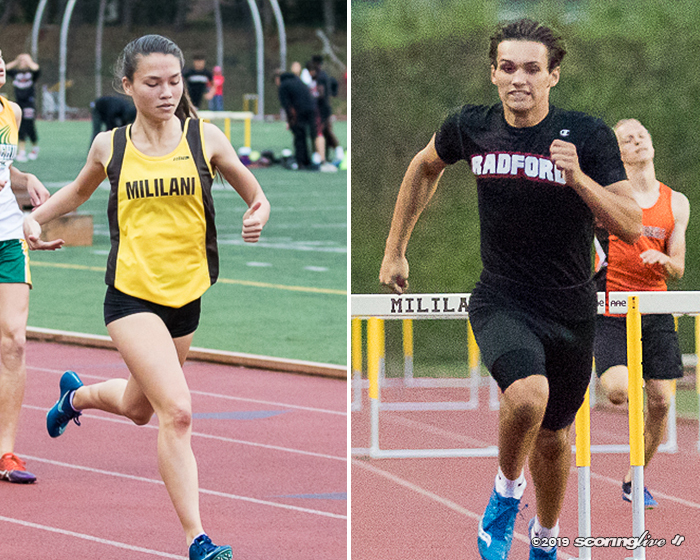 Pitoy, Kawamura and Tiani Sniffen each drove in a run. Pitoy reached on a pair of fielder's choices and came around to score both times. "They played good today. 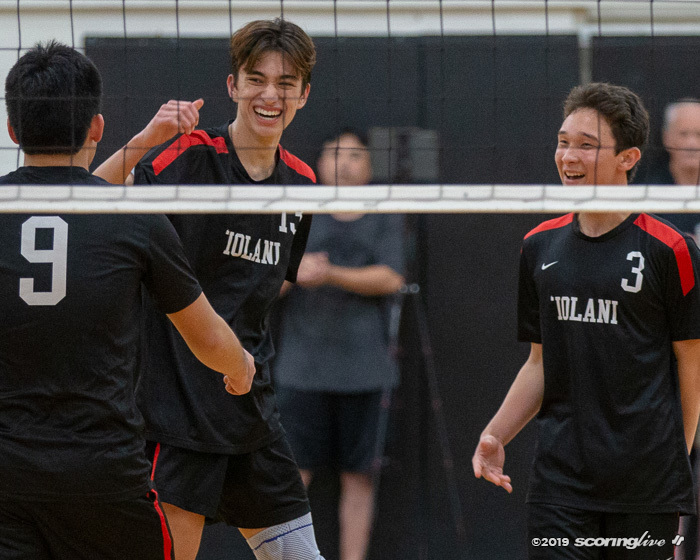 They played loose — that's what we always tell them — to play loose, ‘gotta have fun, but yet gotta stay focused' — and they did all of that," Fujii-Dias said. 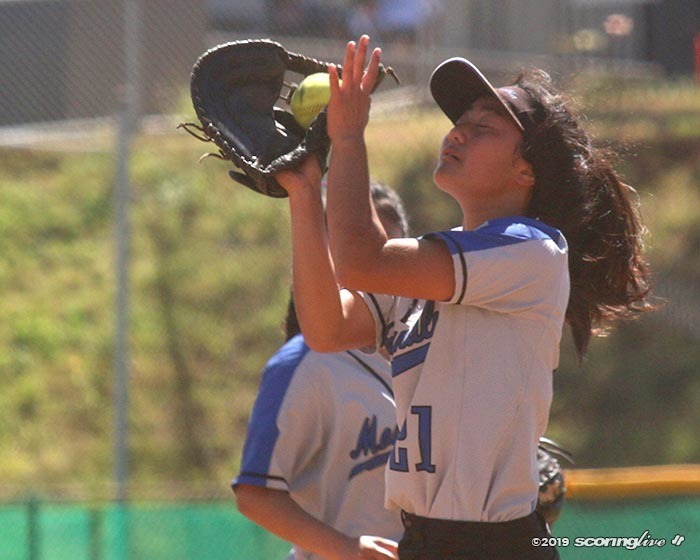 Moanalua used two pitchers in the loss, which snapped a three-game win streak. 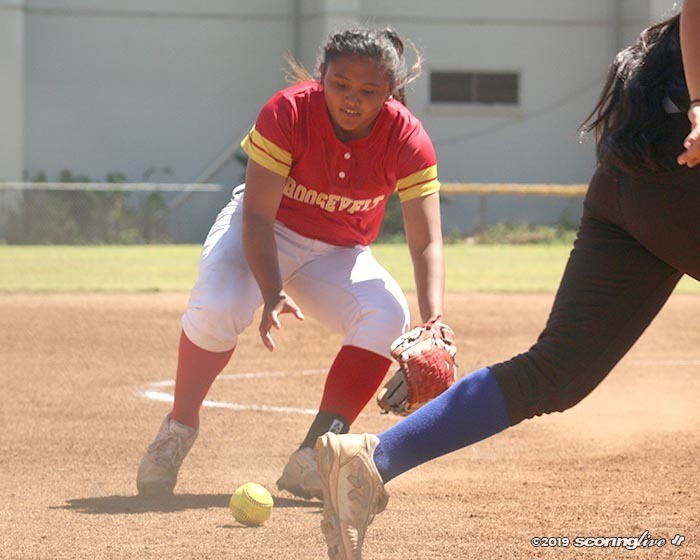 Starter Jaeda Young was tagged for 10 earned runs, eight hits and a walk in three innings and charged with the loss. 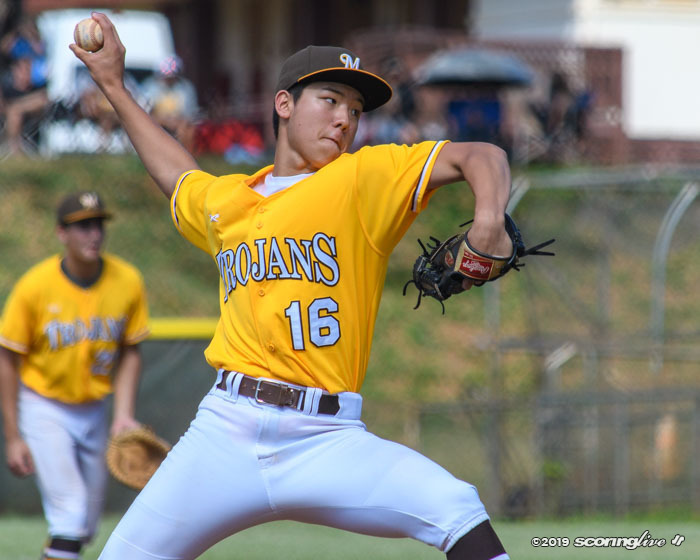 Mari Kimoto allowed three hits in two scoreless innings of relief. 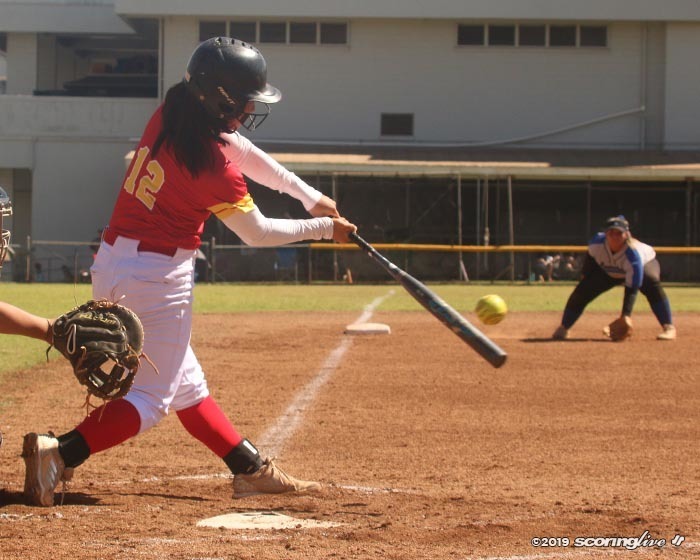 "Well, we practiced all week on hitting sort of slower pitchers, so we were working constantly on keeping our weight back and watching the ball to make sure that we could hit it," Higa said. 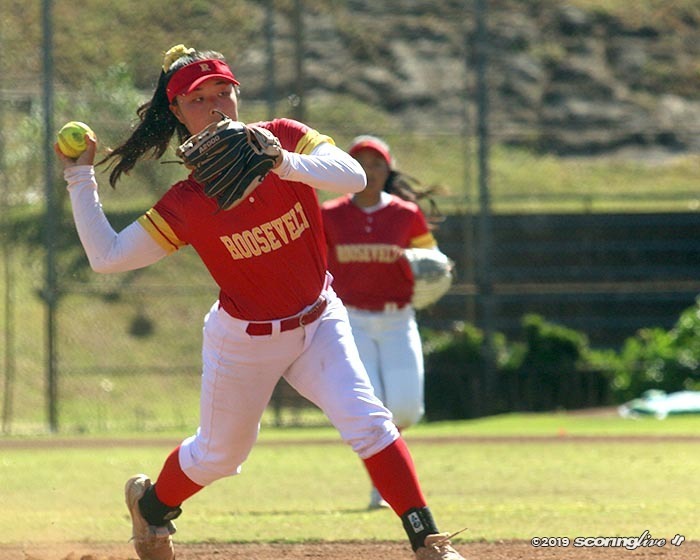 Four of Roosevelt's five wins have come in mercy-rule fashion. It has outscored the opposition by a margin of 77 runs scored to nine allowed. 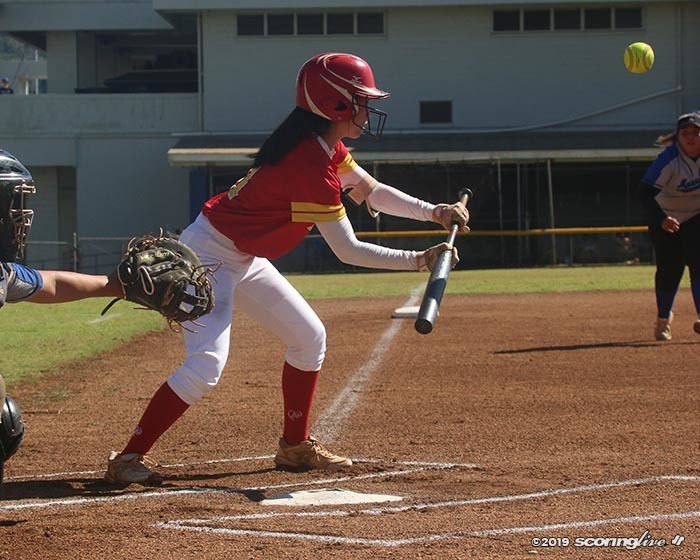 "We just wanted to come in here and start hitting," Higa said. "We weren't expecting a 10-run rule game; we always expect to come into a game looking for a fight. No matter who it is, we just don't want to take anyone too lightly." 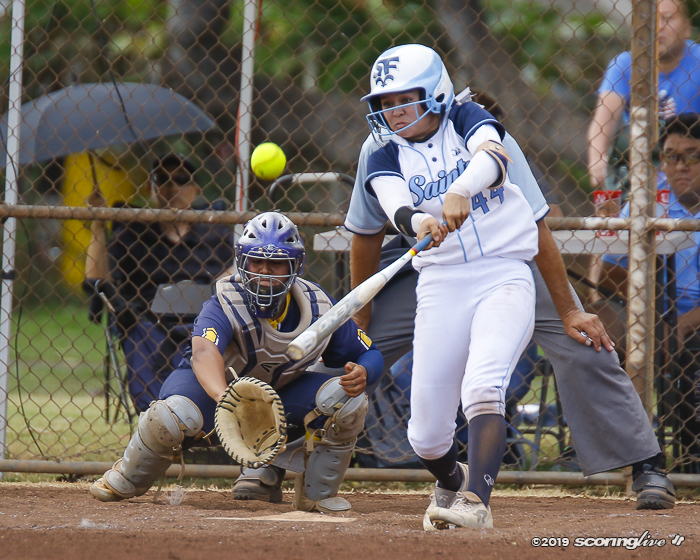 Cabunoc, a three-year starter since transferring from Mid-Pacific, echoed Higa's thoughts. "We're not taking anyone easy and we know how to play the game. 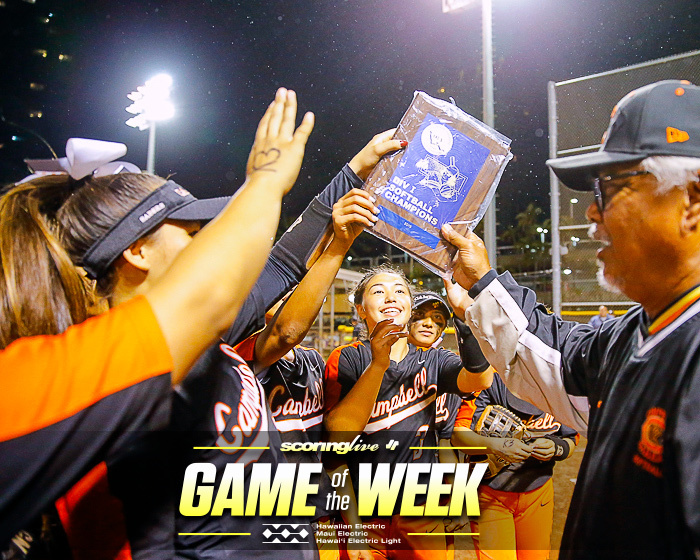 We just play the game, we don't press, we don't do anything extra; we just play the game we know," Cabunoc said. 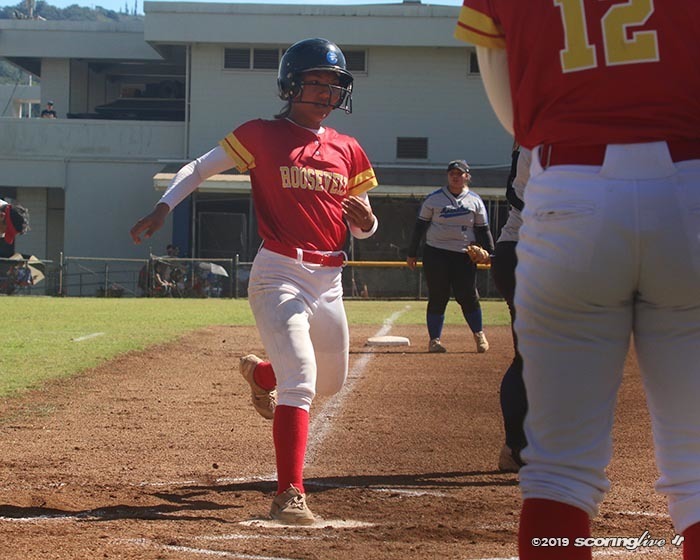 Na Menehune committed three errors in the loss. 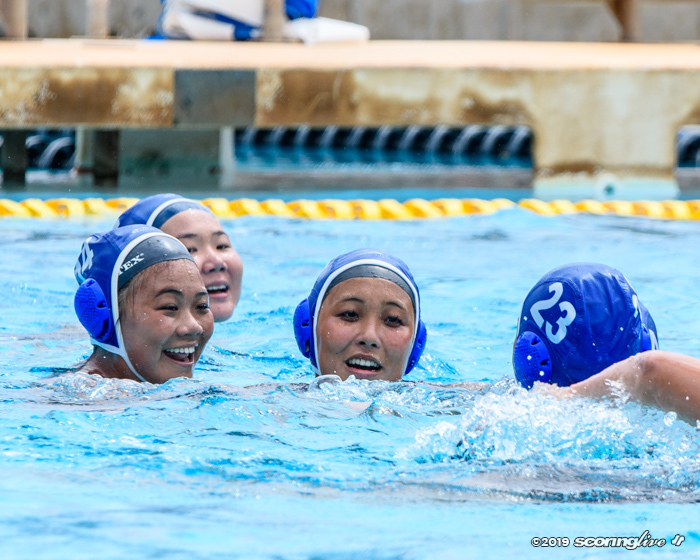 The teams will play again on Apr. 11 at Stevenson Middle School, in the final game of the regular season. Both teams return to the diamond Tuesday afternoon. 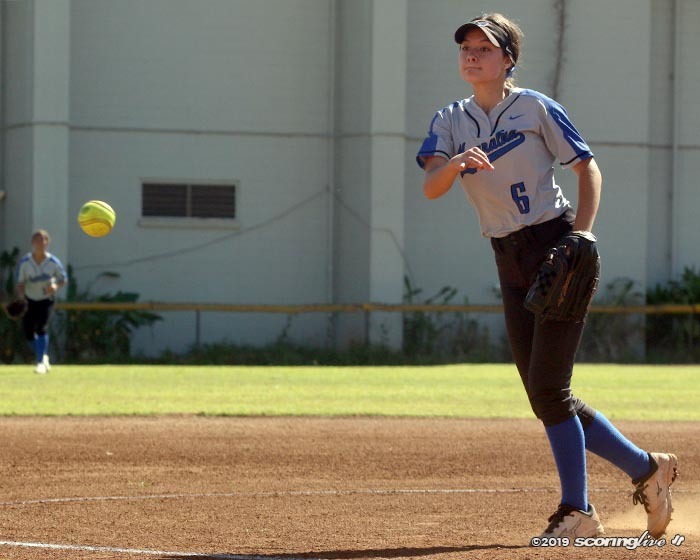 Moanalua will host Kailua (2-2), while Roosevelt will take on Kaiser (4-1).